Save Huge on Eco-Office Gals Services! Black Friday, Small Business Saturday, Cyber Monday… Let’s go with the HUGE EOG SALE! We’re combining all our affiliate savings to bring you and offer you’d be crazy not to grab! Build a great site on the best platform with wonderful hosting and a superior theme and save, save save!! FREE Installation! 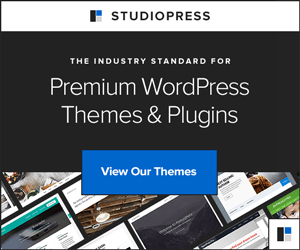 WordPress Installation – FREE with Hosting AND Theme installation FREE with StudioPress theme purchase! Not a DIY’er?? Get all the FREE and discounted offers above and $200 off our Silver, Gold or The Works WordPress Design packages. The Design services offer will be available thru Tuesday morning, but the other offers above are only available for a limited time, so don’t miss out on combining all these savings and saving BIG! Contact us today! « 2011 Black Friday: Half Off Green Hosting!